During the commemorative conference, the speakers highlighted the role played by Development Banking and ALIDE in the economic and social development process in Latin America and the Caribbean. On January 24th, the Latin American Association of Development Financing Institutions (ALIDE) commemorated the 50th anniversary of its creation with the conference “Perspectives of Development Banking in the region”, held at its institutional headquarters in Lima, Peru. The ALIDE and Development Banking authorities that met stressed the role played by the sector in the economic and social growth process of the countries, and highlighted the work of the association, hailing it as the community of Development Banking in Latin America and the Caribbean. “This anniversary provides us with the opportunity to reflect upon the journey traveled, the achievements made, the areas of opportunity, and to consider what to do in the face of tomorrow’s challenges. It is just the beginning of a long trajectory for ALIDE, which will continue to generate venues for dialogue, in order to find creative solutions to collective challenges”, said Jacques Rogozinski, president of ALIDE and general director of Nacional Financiera (Nafin) of Mexico. “From the IDB, we see our association with the national development banks as a relationship that will become increasingly important. 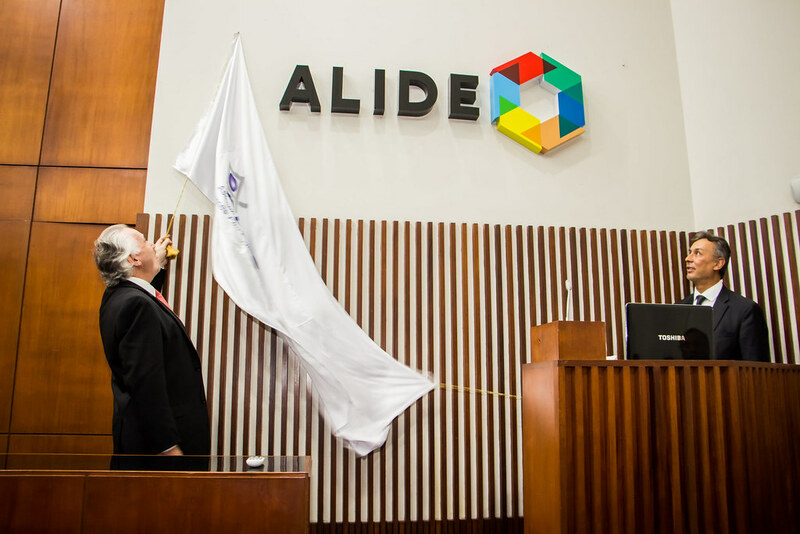 ALIDE is the center where this relationship takes shape, a center that is capable of producing and coordinating the production of specialized knowledge”, stated Juan Ketterer from the Inter-American Development Bank (IDB). “For all of us who make up the Development Banking community in Latin America and the Caribbean, this is the beginning of a special year. This is the year of our 50th anniversary, a fact that comes about at a particularly transcendental moment for Development Banking”, said Edgardo Alvarez, general secretary of ALIDE. “I wish to recall three elements that were discussed at the Board of Directors and that we shall analyze at our General Assembly: technological innovation and disruption, the resilience of cities and the inclusion not only of people but of territories. These are elements that ALIDE sets forth and that will be key in the context in which we live”, remarked Pedro Grados, director of ALIDE and president of the Development Finance Corporation of Peru (Cofide). During the commemorative conference for the 50th anniversary, the association reaffirmed its commitment to accompanying Development Banking in its contribution to the region. It reported on the progress of its modernization process, and officially presented its new institutional logo.